They say that the first is the best and the hardest to get over, and mine is really no exception to this rule. 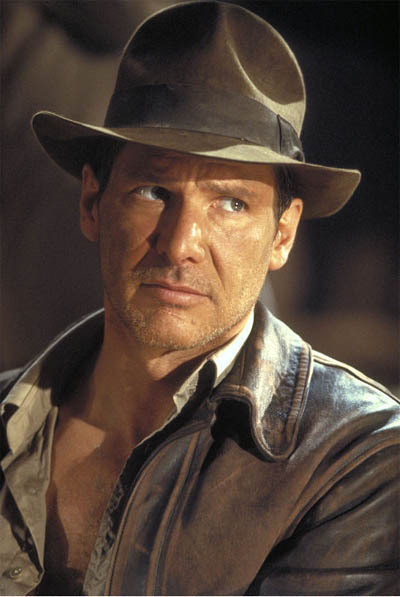 I don’t recall exactly how old I was when I fell for the amazing Dr. Jones, but fall hard I did. I think like a lot of other women; who can’t resist a bit of Dr. Jones? Naturally, with the age I was, I expressed my adoration in a mimic way. I had this straw hat with a blue band, a brown denim jacket, brown cords, a pretty neat fake bull-whip, which I am sure I still have somewhere! And called myself Indiana Jenny. It was pretty fun times all round really. I even still have my Diary, which contains my own version of the Grail Diary from Indiana Jones and the Last Crusade. This diary also has a record of how many Gecko’s I was on a family holiday, which I don’t think has anything to do with anything at all! Still, to me, Dr Jones will always be the lost boy scout who belongs in a museum! Being a fangirl over Dr Jones also taught me a valuable lesson in fangirling. Never get your hopes up. In my youth I can to the realization that Dr. Jones would never be real, no matter how much I wanted him to be. He would never come and save me from the mundane reality that was real life. Coming to that was actually pretty depressing at the time. Now however, I know that as long as I have a bit of fun with the people I fangirl over and that my obsessions inspire me and keep me creative and having fun; then they have done all that they can. Thanks for the fun times Dr. Jones, and for the very valuable lesson in Fangirling. Previous Previous post: "Will you read my Fanfiction?" Next Next post: In relation to my last post..